Owners Gene and Tim Costello along with Jim Neefe of Stone Creek Builders have not only developed a powerful partnership, but have built a solid reputation as most trusted in business. 1st Advantage Construction Management & Stone Creek Builders are committed to providing quality service to the community. They believe that a reputation as an honest and reliable business is the recipe for success. While others seek to profit by cutting corners, or recommending unnecessary services to customers, 1st Advantage believes that a good reputation and consistent service will reap bigger profits in the long run. By being trustworthy, they will enjoy a long term profitable business that serves the community. Everyone in the 1st Advantage Family follows our philosophy of striving to create lasting value for our customers through careful planning, superior quality and outstanding customer service. Whether a new custom build or remodel know that a home should be built to last and reflect the individual lifestyle of its owners. At Hutch Homes, we are dedicated to ensuring that your new home or remodel meets both objectives. Hutch Homes is a father and son duo that combines a wealth of knowledge with a new sense of enthusiasm and outlook on the building process. Hutch Homes is eager to collaborate with you on your future project. LANCO Construction Company is a family owned home remodeling business. LANCO Construction is a member of the Building Trades Association, the local Chamber of Commerce, and is a state-licensed contractor in the state of Pennsylvania. At LANCO Construction we pride ourselves in the highest quality of work and building a close relationship with our customers. Repeat business and word of mouth referrals are very important to us. LANCO Construction provides a full range of construction and consulting services including pre-construction, construction, design-build, and green/sustainable construction services. Voted Carroll's BEST! 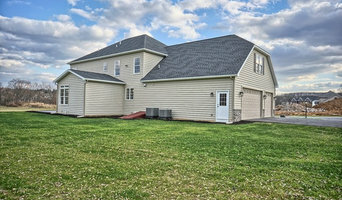 Robin Ford Building & Remodeling is Carroll County’s premier custom home builder and ONLY Southern Living® Custom Home Program Builders in Maryland. For over 30 years, Robin Ford Building and Remodeling, Inc., has been crafting gracious custom homes in Carroll County, Maryland. Our designation as a Certified Green Professional and a Certified Aging-in-Place Specialist, along with our commitment to building a limited number of distinct, custom homes within our own community has further distinguished us from other builders. With our team of full-time employees, each home we build is brought to life by expert craftsmen. Give us a call to see how we can create your dream home and help you begin setting the stage for a lifetime of memories. Shank Builders is the best general construction company in Chambersburg PA. Our luxury services include custom home building, new additions, and renovations. At L. L. Lawrence Builders, Inc., we build homes that are customized to fit your needs, your lifestyle, and your budget. Whether you are building your very first home or building for a growing family, L. L. Lawrence is the local builder you can trust to bring every detail together, from start to finish. Unlike big-box residential contractors, our custom designers can bring personal detail to one of our home plans, or start from scratch with your ideas, sketches, and clippings. We can assist you in home selections, point out options you may not have thought about, and help in choosing color schemes for your new home. Visit our model homes to view our superior craftsmanship. Bring us your ideas, and we’ll make your dreams a reality. Fine Touch Builders is a family owned and operated business specializing in new home construction. Most of the homes we build are within the Union, Snyder and Northumberland county areas. At Fine Touch Builders our goal is to provide an enjoyable home-building experience. We partner with our customers by offering experience and knowledge as we design and customize their dream home. Combining quality building materials with expert craftsmanship results in a superior finished product that can be purchased with confidence. We understand that a home is one of the largest investments many people make and are committed to building a home that has enduring value. Fine Touch Builders was founded, and is owned, by Levi Beachy. The crew is comprised of his four sons who assist with architectural design and oversee the job site. Our involvement in the building process from start to finish ensures that each stage is completed to our exacting standards. Somrok, Inc. Dba Stephen Black Builders has been building custom homes and additions for over 30 years in Lancaster, PA. We have developed an excellent reputation for quality homes and work. Because our homes are built with care, they will last for many years. The high standards we adhere to will assure you of satisfaction. 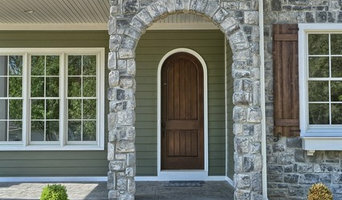 Cordell Custom Homes is a family owned and operated custom home builder. Established over 30 years ago by Jack Cordell, who is now assisted by his son, C. J. Cordell, and daughter, Denise, they have the old-style attitude about doing a top-quality job and being the best at whatever they do. Cordell prides themselves on using upgrade quality throughout their jobs and assisting their customers with selecting the most tasteful products to accent the style of their home. Cordell can and does help with designs and drawing plans, if necessary, at no extra cost to the customer. Financing and locating a perfect site to build on are other services that Cordell Custom homes provide at no extra cost–this is a big advantage to the customer. All of this service and quality at a very reasonable priceless than you usually pay elsewhere where you pay the same price for a standard job.